The number of visits by homeless people to emergency departments (EDs) in England has more than trebled since 2011, an investigation by the British Medical Association (BMA) shows. Recorded visits to hospital EDs by patients classed as having no fixed abode reached almost 32,000 last year compared with 11,305 in 2011, figures show. BMA public health medicine committee chair Peter English warned: ‘If this was some disease causing all these problems it would be a much higher priority, but because the homeless can be blamed and stigmatised it is easy for the government to ignore. 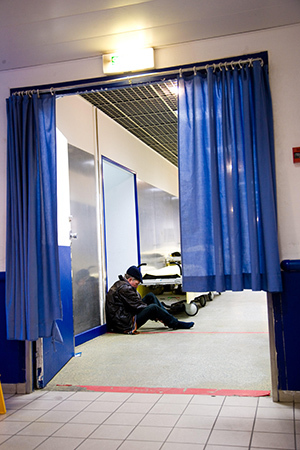 The investigation, published in BMA magazine The Doctor, also explored the link between homelessness and mental health, suggesting it is more difficult for people to seek treatment if they are homeless. Analysing figures collected through freedom of information requests, it said each visit to emergency care is estimated to cost the NHS around £148 and a day in a hospital bed costs £400, representing a bill of more than £47 million, although the actual cost could be much higher. Figures published by the Office for National Statistics in December 2017 estimated that 597 homeless people died in England and Wales in 2017 – an increase of 24% over five years. RCN professional lead for acute, emergency and critical care Anna Crossley agrees that mental health, physical outcomes and life expectancy for those who are homeless are significantly worse than for the general population. The RCN hosted a day event in January for homeless health nurses across the country. The network met alongside people who were previously homeless and are now working in clinical teams. Ms Crossley says the nurses worked to formalise a key competencies framework for nursing staff who work with the homeless. 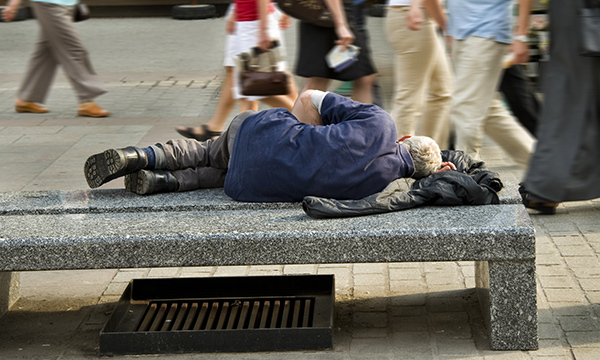 Last year, the Queen’s Nursing Institute (QNI) published a report on nursing care for homeless people, setting out six recommendations for service commissioners and strategic planners to consider when planning provision for them. The recommendations include creating a health needs profile of people who are homeless and ensuring that staff working in wider health services have a full understanding of their responsibilities regarding their care and treatment. The QNI has been working on homelessness issues for many years and offers resources to show how nursing staff can improve the health and reduce the distress of every homeless person they come into contact with. QNI chief executive Crystal Oldman says: ‘Nurses who work in homeless health services are making the difference between life and death for people who are homeless every day. ‘However, these services can be underfunded and under-commissioned. The BMA report shines a light on this and it adds to the evidence around this issue, which nurses and the QNI have been highlighting for some time. ‘It is essential that all nurses understand the relationship between housing and health and the specific health challenges faced by people who are experiencing homelessness. Lack of knowledge about the rights of access to national health services, including GP services, for people without a home address can be an enormous barrier to addressing health needs in a timely and appropriate way. Johanna Lloyd-Rees, a matron and advanced emergency nurse practitioner at University Hospitals Bristol NHS Foundation Trust ED, says the trust works with a homeless health support team comprising a GP, a social worker and a nurse with an ED and mental health background. It is commissioned by the local clinical commissioning group (CCG). She says: ‘They provide a lot of support to the ED and the CCG is really supportive of what we are all trying to achieve. We ask the homeless team to come down to the ED if there is a homeless person, to chat with them and signpost them to relevant organisations. She explains that anecdotally Bristol appears to have high numbers of homeless people because they may have heard the area offers good services. She says: ‘If someone comes in who essentially has a primary care issue and is without access to a GP, we also have booklets about local services to support them. The homeless often feel they can’t access primary care because they have no fixed address. ‘They may have trench foot, for example, because they are permanently in wet clothes, so we have set aside a cupboard in the ED and asked people to bring clothes in. We are passionate about it because we know if we were living on the streets and it was dire, any light relief from the daily hideousness would be welcome. 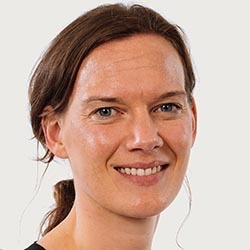 Samantha Dorney-Smith is a nursing fellow at Pathway, a charity that provides healthcare for homeless people and rough sleepers, and is secretary of the London Network of Nurses and Midwives Homelessness Group. 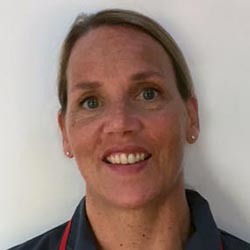 She has been running a project funded by the Burdett Trust for Nursing to bring together homeless hospital discharge nurses from around the UK. 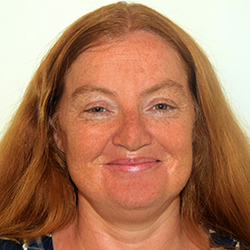 Ms Dorney-Smith has held three workshops in London and has identified about 30 nurses currently designated as a homeless hospital discharge nurse. 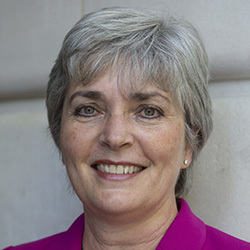 These nurses are experts in client engagement, the management of trimorbidity – having physical and mental health problems together with substance misuse – mental capacity, safeguarding, and health and housing rights, and also partnership working and building pathways into the community, Ms Dorney-Smith says. She adds that there are many contributing factors to any increase in homeless people visiting EDs: ‘These include hostel closures, welfare reform, migration, bad policies such as no requirements for prisoners to be housed, and GPs requiring an ID to be able register – which is not actually required. The list goes on. She says the Homelessness Reduction Act (2017) requires inpatient settings and EDs to offer homeless people, and those at risk of becoming homeless within 56 days, a referral to the local authority. ‘Just giving up-to-date information about local support services can make a difference.